Well, what a year 2018 was! 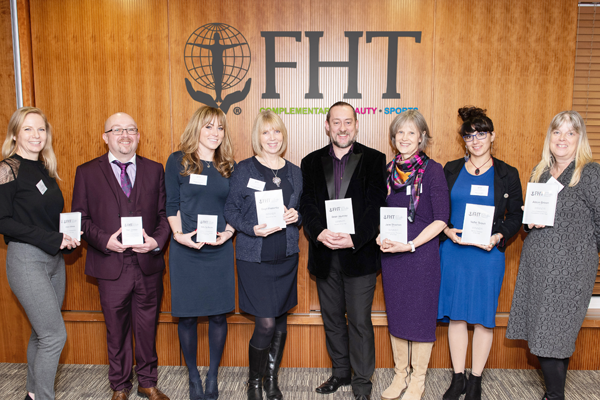 Following on from our last news regarding Marc reaching the finals of the FHT Complementary Therapist of the Year Award, the awards panel awarded Marc the "Highly Commended - Complementary Therapist of the Year - 2018, at the FHT conference on October 29th. 2018 - Flintshire business Awards - Nominated for "Most Socially Responsible Business", "Entrepreneur Award", and "Best Business under 10 employees"
Following previous years' successes, we are proud to announce further awards and nominations in 2018. 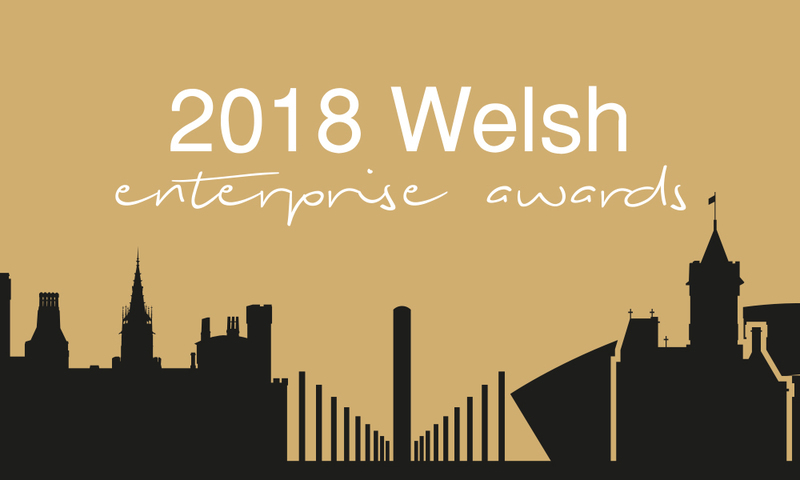 We have been awarded a Welsh Enterprise Award for Best Wellness Specialists - 2018. In addition to this we got exciting next recently that Marc had reached finalist stage in the Federation of Holistic Therapists (FHT) Complementary Therapist of the Year Award - 2018. The winner award will announced at the annual conference of the FHT at the end of November. The new Clinical Wellness Academy is now open. We are taking bookings for courses through to May 2018. Our courses are suitable for those new to therapy and for existing therapists looking to expand their knowledge and skill sets. 11 Octber 2017 - "Best Hypnotherapy in Flintshire"
We have been awarded the title of best hypnotherapy in Flintshire. Our new YouTube is available and new videos are currently being prepared for upload. Please subscribe now to keep up to date with developments. Eye Movement Desensitisation and Reprocessing Therapy is ideally suited to those who have chronic psychological affects resulting from trauma - whether physical, sexual, emotional or mental. Please refer to our EMDR page or get in touch for more information. EMDR therapy is available now, without the lengthy waiting period that may occur with NHS therapy. It is recommended by NICE and the NHS as an effective therapy for Post-Traumatic Stress Disorder, and also works on a number of other conditions such as fears and phobias, weight management, body confidence, anxiety, and addictions. We have invested in a wide variety of training and equipment over the last 12 months. As a result we are proud to be able to extend our range of therapies. In addition to this, very soon we will be offering a new psychotherapy - Eye Movement Desensitisation and Reprocessing (EMDR). This therapy is suited to variety of psychological conditions and works especially well with survivors of trauma and abuse. Looking for a gift idea for Christmas or New Year? We offer gift certificates that offer your friends and loved ones the opportunity to benefit from any of our wide range of therapies. Vouchers begin at £20 and can be used as full or part payment towards a therapy. With our increasing workload and range of therapies, we are expanding into a new room, in addition to the clinic space we already provide. Existing client appointments will be seamlessly integrated and this expansion will allow for greater appointment flexibility. The new space will be used more by hypnotherapy clients as it is more suited to this therapy. More news to follow as we open this room to our clientelle. We now offer Sports Massage and Indian Head Massage. Sports Massage is of real benefit to athletes and sports participants. Used both before and after sporting events, the therapy aims to promote performance and ease the after effects of activity in the tissues. Indian head massage is a luxorious treatment consiting of a range of massage pressures to stimulate the upper back, neck and shoulders and can help alleviate physical and emotional stress, restoring balance to the body and mind. As part of World Reflexology Week we are offering taster sessions Monday, Tuesday and Wednesday this week. The 20 minute sessions are priced at just £10 and are on a first come first served basis. 1 week offer only for the first 5 people booking onto the 5 session Virtual Gastric Band/Weight Management Programme. £50 discount on the full price of the 5 week programme. To celebrate the success of the programme over the past year the first 5 people booking onto the programme before Sunday 20th September will gain a voucher code entitling them to the discounted rate of £250. When these places have gone the following 5 people will get a voucher code to the value of £25 pounds for use when booking onto the programme. Discounted places on the weight management programme are limited to these numbers as it is a very popular and successful treatment. The programme includes lifetime support by telephone, email and skype as well as quality weekly literature, audio CD's/ downloads to listen to at home and 5 individually customised sessions to ensure that clients get the best from hypnotherapy to optimise their weight loss. There is no dieting, calorie counting, unhealthy obsessing over foods and meal planning and you won't feel like you are doing without. Add to this the relaxation and stress reducing power of hypnotherapy and the package is unrivalled. Following training with John Howard, during his recent visit to the UK, we are very proud and excited to be able to offer 'Battlefield Acupuncture' for the symptomatic relief of many types and levels of pain. Our pain management capacity has increased dramatically as a result of this training and it is available immediately in our clinic. Please download the guide for clients below. *Now Closed - another competition will run soon* Competition Time - Hypnotherapy Weight Management and Virtual Gastric Band Programme. We are running a free prize draw on our facebook page. Please visit facebook.com/ClinicalWellnessCentre and like and share the post entitled *Competition Time* for your chance to win the whole package including the 5 week programme, weekly booklets, personalised audio CD and lifetime support by email, telephone or skype following the programme. North Wales and Chester area press coverage of our clinic. Click on the link to see the full page in the Daily Post. Our new therapy room opens on November 1st 2014 in Deeside. It is located within easy access of North Wales, Chester and the Wirral by road and rail. Treatments in other locations are possible upon request. Please contact us for details. This new clinic will offer all of our services in a comfortable environment with safe parking/disabled access. An on-site restaurant is available to our visitors.